Load the Caleandar.js and a theme CSS of your choice in the webpage. 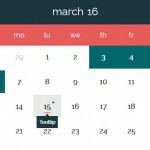 Create an empty container to place the calendar. 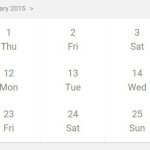 Add custom events into the calendar. Pass the following options to the calendar. 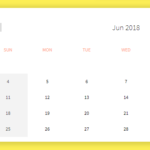 Generate an event calendar inside the container you created. 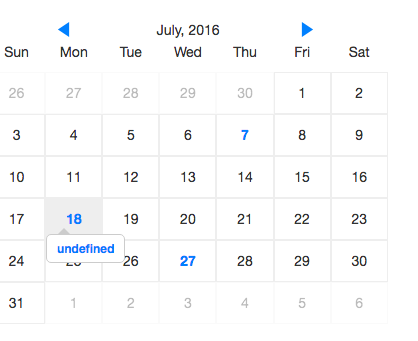 I’ve followed the steps but my events are coming up as ‘Undefined’ – any idea why? The example is incorrect. Replace “Title 1”, “Title 2” and “Title 3” with “Title”, and it works. 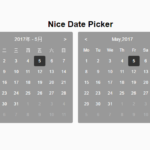 does anyone know how to get the date of the event clicked by user? 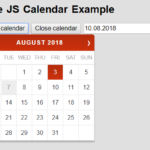 in claender.js change “EventTargetWholeDay: false,” to ‘true’ to be able to click on dates instead of just clicking on the titles. Its showing current month’s event in coming month. 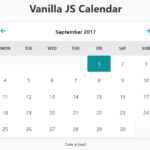 If i change the event date within the demo.js to a different date it is no longer shown on the calendar…. why? It will display in the following month. I want to display the hole year calendar, can someone help me with that? Thanks! Hi, i incorporated you file into a wood working app i was building for school and it awesome! thank you for producing multiple css themes, really helped me out on my timeline! 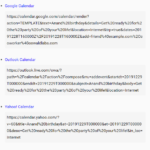 Can anyone tell that how can I add multiple events for the same date….